When I was a kid, my birthday was always a big celebration. Our city had its 4th of July fireworks one day early which meant the city gave me the best birthday gift every year. As a family, we’d get together for ice cream pie and celebration beforehand and then walk down to the riverfront for my fireworks. I loved it! I moved away from my hometown years ago. Now that I’m an adult I think about the bugs, the humidity, the annoying people, the discomfort of sitting on the ground, and the hours of bumper to bumper traffic. I still love fireworks, but I appreciate being able to enjoy them from afar in comfort over getting my old front row seats. This year, I’m taking a slightly different approach. I wanted to see how many small ways I could celebrate my birthday beyond the fireworks. 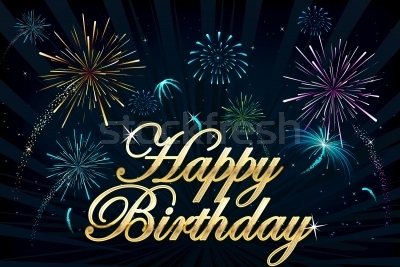 I started my endeavor when I found out that a lot of the companies I already love have birthday clubs. The companies advertise their great products and give you something for free. You get to feel special and try to forget that you’re really just getting older. I thought it would be fun to spread it out throughout the week so I could enjoy these little surprises. Now, please keep in mind these are already companies that I buy products from and support. There are a lot of companies out there that offer freebies, but I didn’t sign up because I wasn’t just out to get something for nothing. I wanted to have something I already enjoyed from a company I knew I’d be returning to. Trust me, a lot of companies you know and love offer a lot of discounts and special gifts for your birthday. You just have to be willing to look. Moe’s Monday – I love Moe’s burritos and salsa verde. I used to work around the corner from Moe’s Southwest Grill and learned the importance of celebrating Moe’s Mondays. A burrito at Moe’s is normally $6.00-7.50. On Moe’s Mondays it’s $5.00 for any burrito, chips and a drink. Yes, I used to go religiously. Now that they’re further away from the office, it’s harder to break away and return in my allotted half an hour break. On the Monday before my birthday, I was already leaving work early so it was easy to squeeze in a burrito full of happiness. When I looked into their birthday club, I found out that you get any entrée for free if you purchase a drink. You have two weeks before the coupon expires which is another win in my book. Fluffy Tuesday – For those of you who don’t watch a lot of standup comedy, you are missing out. Gabriel Iglesias is my favorite comedian. He is simply hysterical. You can watch his videos for free on Amazon prime or Youtube. The easiest way to find him is to look him up under the nickname Fluffy. Watch and you will understand. For the best birthday treat ever, he did one stand up show two days before my birthday. It was amazing. My husband and I laughed the night away! To round the evening off, we went to one of my favorite restaurants, Bongos. Bongos is a restaurant in South Florida owned by Gloria Estefan with authentic Cuban food. The atmosphere is great, the food is delicious and the mojitos are even better. It gave us a chance to have a bite to eat and relax before the show. 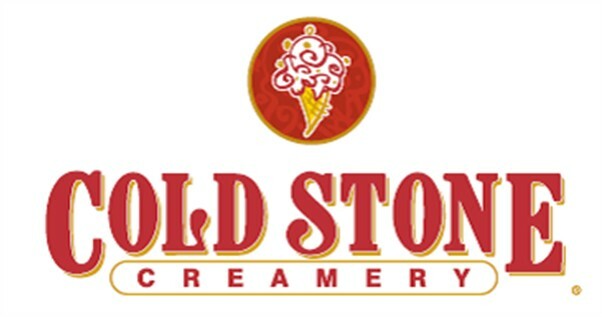 Cold Stone Wednesday – When I was in college there was only one ice cream shop in town, Cold Stone Creamery. Considering the insane summer heat, this was the most popular place for 5-6 months of the year. The lines were outside the door, but it was always worth the wait. I haven’t been back in ages and always go down memory lane when I drive past. I was delighted to find out that they have a birthday club – buy one get one free. Since my husband has never had Coldstone before, we both went for a special treat. The company has changed a little bit, but it’s still good ice cream. This is another coupon that you have two weeks to use. Aveda and Firehouse Thursday – I love Aveda. They have salons nationwide and have a high standard for their stylists. Each one goes through intensive training and recertification to make sure their skills are above top notch. Their products are amazing and the service is exceptional. On your birthday, they also give you a free gift of a personalized scent perfume or body care product worth up to $25. I need a haircut and highlights anyways. I decided I might as well spend the day getting pampered. There is one catch to the Aveda birthday club, you have to sign up at least 30 days before your birthday. They’ll send you a card in the mail that qualifies you for your free product. In the age of electronic everything waiting for a card in the mail is annoying, but what can you do? Firehouse subs will give you a free regular sub on your birthday with a valid ID. I love this company especially because they support firefighters and other great charities. Their hot subs are really some of my favorites. My husband and I went there for a late lunch. BBQ Friday – My husband and I love BBQ chicken with homemade Spanish rice. His mother taught us both how to make it and it’s one of the best comfort foods. It’s also incredibly easy to make. It gives us a chance to have a great homemade meal without the hassle. It’ll be the perfect way to round out the week and celebrate the 4th of July. I also decided to make a peach pie. Nothing smells more like summer time than a peach pie cooling on the counter. Add a bit of vanilla ice cream and I’m in heaven. The other company whose birthday club I signed up for is Bare Escentuals. I love their makeup. You get a free gift for your birthday which you can pick up later in the month if you prefer. Complete your online profile and earn a shopping day of your choice where your entire order is 15% off. I need to restock on my makeup and will gladly use the discount. The only catch, your 15% off day can’t be your birthday. Jamba Juice also offers a free smoothie for your birthday. I signed up for their online deals after my birthday, but because it was the same month I still got a free smoothie. Yeah Jamba Juice! Their smoothies are my favorite. White House Black Market also sent me a coupon $10 off a purchase of $50. I’m already a member of their store so I automatically get 5% off and free shipping on all of my purchases. Add the $10 off and their great sale prices and I’m a happy camper. They update their website all the time so keep an eye on it. The item you wanted may be in stock tomorrow. I had an amazing birthday. Yes, there were fireworks that I got to watch from the comfort of our home. It was a wonderful week full of little special events and a beautiful surprise bouquet of flowers from my husband. He really is amazing! The week of fun is over and I have been pampered and fed to excess. Now I have to return to my normal life, which has its own set of perks. Now I’m a year older, a little wiser and get to look forward to another year of adventure.